How many tissue boxes do you go through each school year? 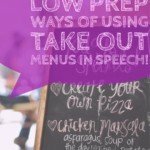 I love finding low prep ways to use them in my speech room! 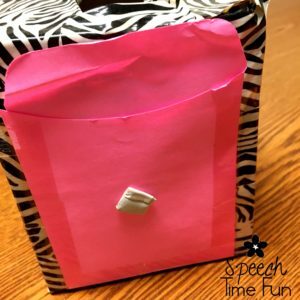 Keep reading to get some low prep ideas for using an empty tissue box. I had fun decorating a tissue box with duct tape. 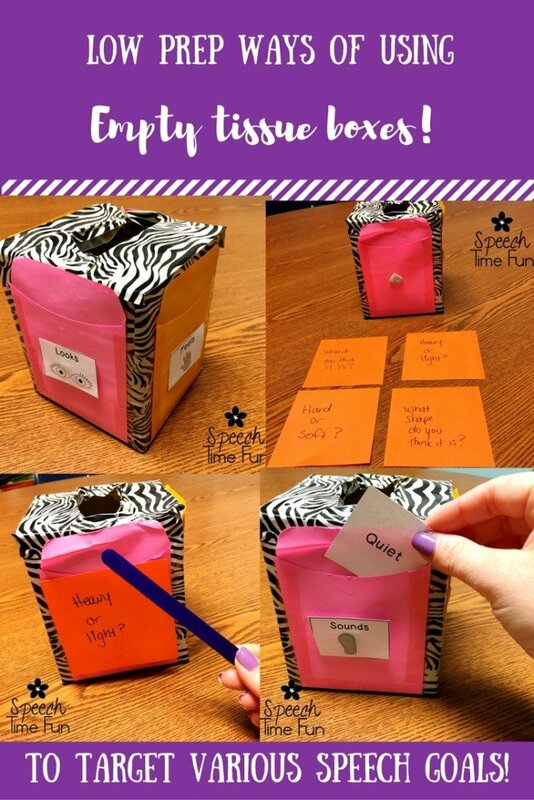 Who doesn’t love a good reason to use the fun and decorative duct tape?! I then taped library pockets onto each side of the tissue box. 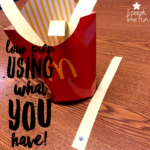 This allows for so many activities and is ready to go (even if I didn’t want to use the library pockets!). 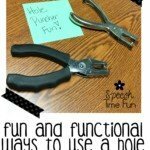 Lastly, I used Fun Tack to attach visuals that can be easily removed and switched. I used my FREE adjectives sort with my tissue box. I cut out the senses and attached them to my library pockets. 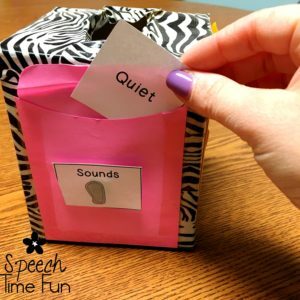 I put the sorting cards in the tissue box. Students had fun pulling a card out of the box and placing it into the correct pocket. 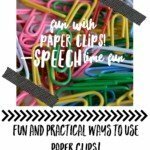 This was interactive and only required 1 copy of the activity! What else can I sort with this tissue box? 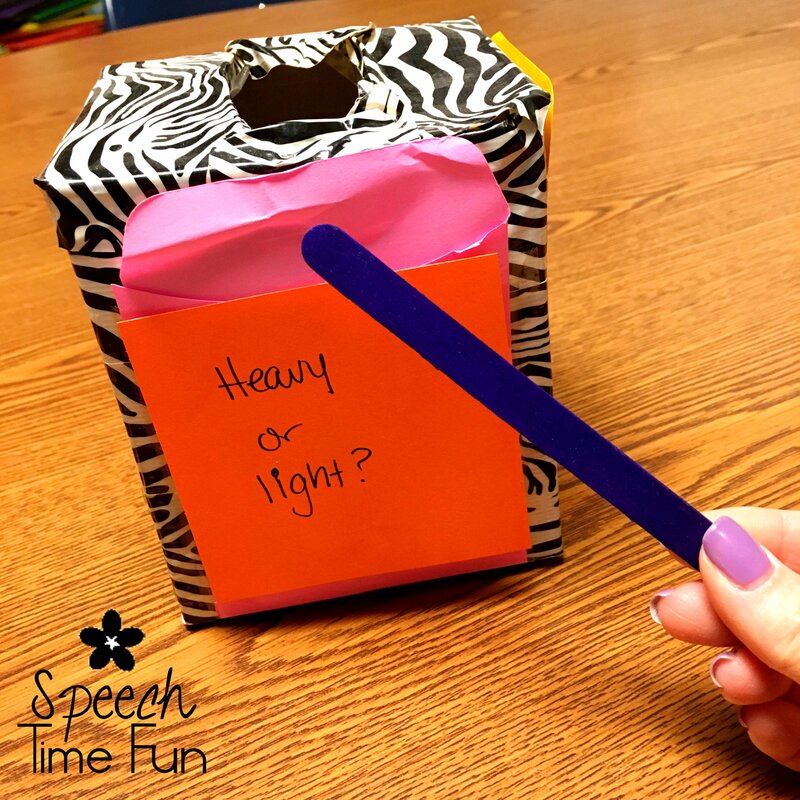 Other than sorting, you can use a tissue box as a feel and guess box! I placed cue cards on the library pockets using my fun tack. 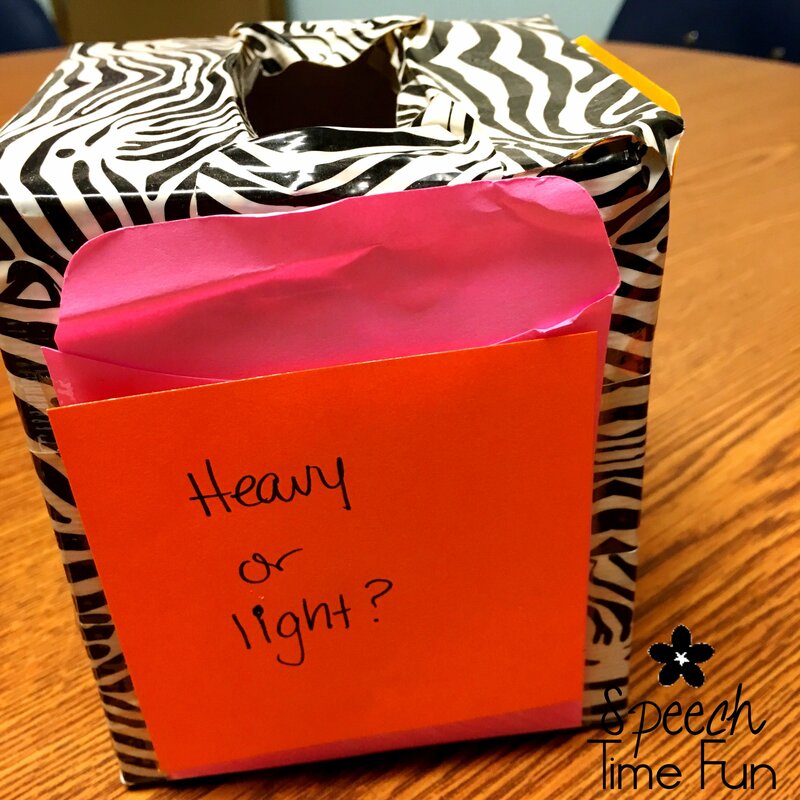 Students were able to reach into the box and use the cues to try and guess the items inside. My students struggle with coming up with their own clues. They need significant models on how to answer these types of questions. Any visual is beneficial since I don’t have to verbally prompt them each and every time. 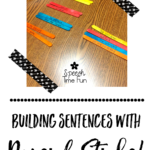 They can learn to prompt themselves which is really helpful. What other items did I place in my tissue box? anything that they can expect to find in a classroom and has features they can feel! 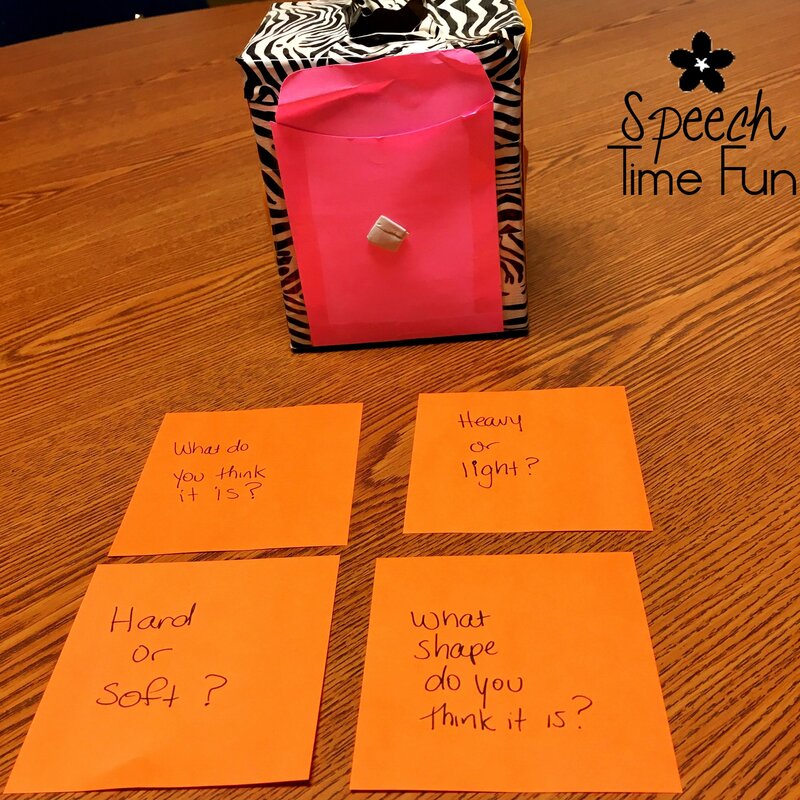 Have you ever used an empty tissue box in your speech room? 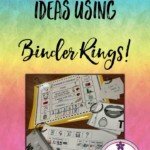 Comment below, I would love to hear how you used one! Want a copy of the adjectives sort? Click the button below!